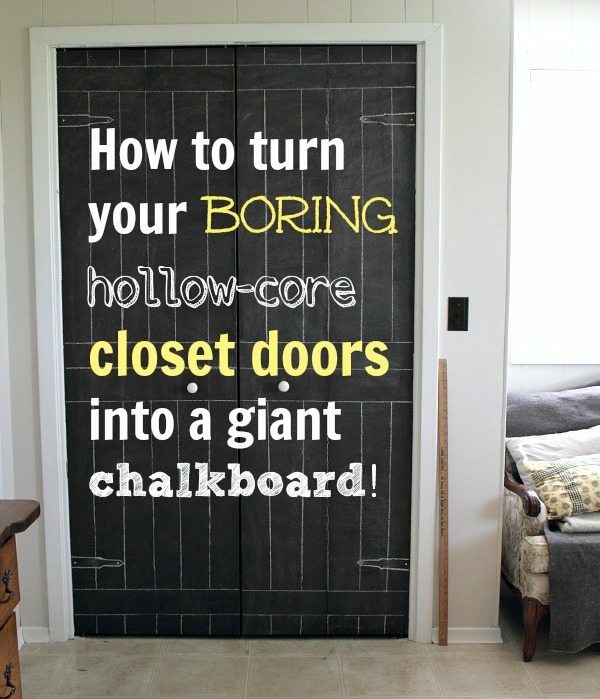 Ah, chalkboard paint: Easily one of the best and most important crafting discoveries of the modern age, don’t you think? It sticks to everything, always looks great, makes a big style impact, and best of all, it’s so easy! It’s almost always the right answer to any crafting dilemma. Today I thought I’d share some of my favorite chalkboard paint projects that I’ve done in the last couple of years, just for some crafty inspiration as we head into the weekend. 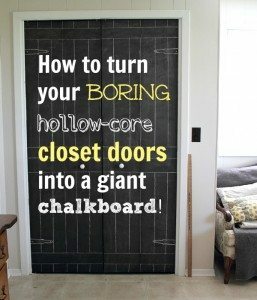 Turning plain closet doors into a giant chalkboard. 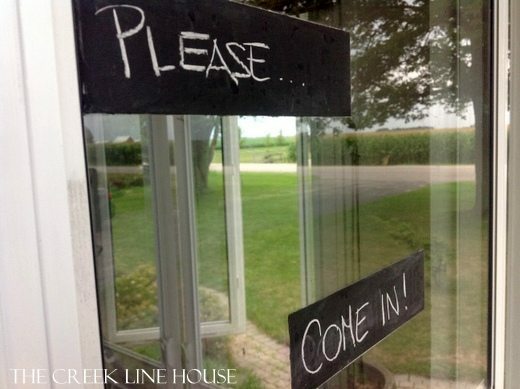 Turning mean door signs into friendly chalkboard labels. 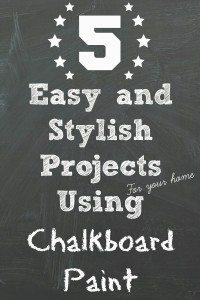 Chalkboard paint on a tiny scale! Kennedy has fun changing out these little signs on our side door with the seasons. A giant chalkboard made from an old framed picture. This little tray/sign has shown up in countless places and displays around the house. It just never stops being the perfect space filler no matter what the situation. 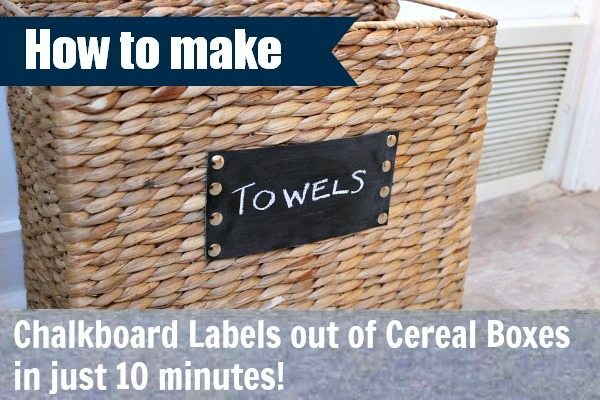 How to make chalkboard labels out of cereal boxes. I almost need to stop myself from making these labels for every basket in the house. So cute! So free! So quick! Are you feeling inspired yet? 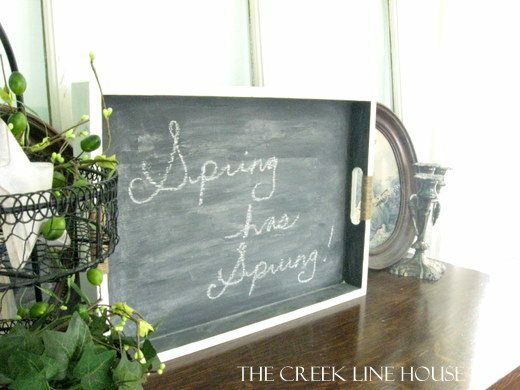 Have you made anything wonderful with chalkboard paint lately? I’m always inspired by the countless ways that I can use chalkboard paint to make my world a little more lovely. In fact, I may have another chalkboard project coming up to share with you next week…. It’s for Halloween and I can’t wait to show you. Have a great weekend! Hope you find some time to get creative! I love your closet doors! They look so fun. What a great idea for kids rooms too. 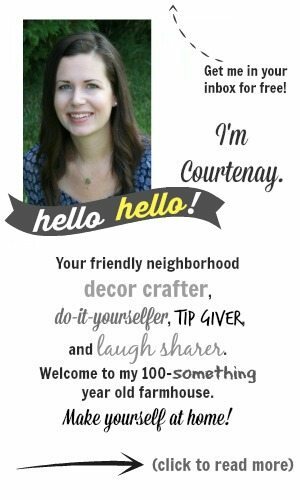 Hi, Courtenay. Thanks to your post today, I went to the RugsUSA website and bought a nice rug for my dining area at an extra 55% off! I have been looking for a rug for a long time, so I am really excited about this purchase. Oh, and yours looks really good too. Your rug looks so good! Thanks to your post today, I went to The RugsUSA website and bought one for my dining area for 55% off! I have been looking for a new rug for a long time, so I am very excited to have found one.